Just look at that golden crust! 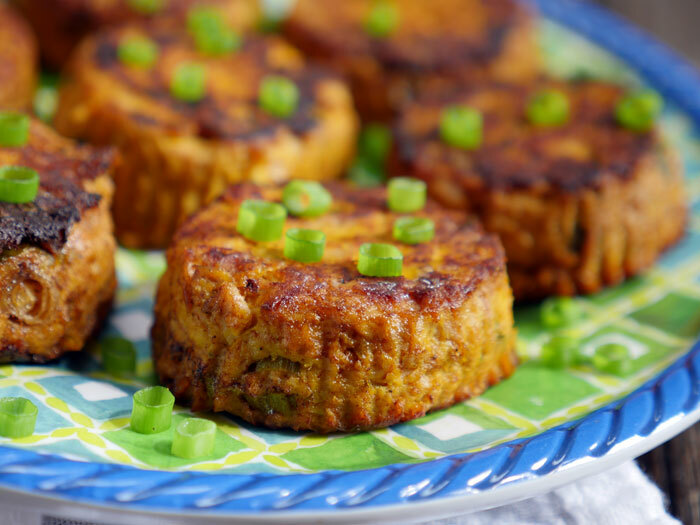 These spicy tuna pumpkin patties are first baked and then shallow fried in ghee. They make for the perfect snack or meal. 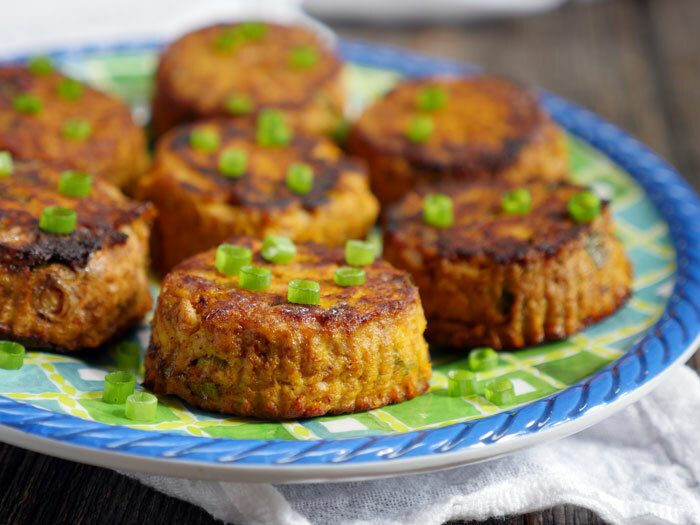 You can serve these patties on top of some greens or stuff ’em in a bun to make tasty tuna burgers (try them with my paleo hamburger buns OR paleo naan). I know, I know. It’s pumpkin season and while it seems like every blogger is sharing recipes for pumpkin desserts… I’m sitting here making you this savory pumpkin recipe. And this, just two days after sharing a recipe for savory paleo pumpkin chili! I hope you still love me! ? Do you prefer pumpkin in sweets or in savory dishes? 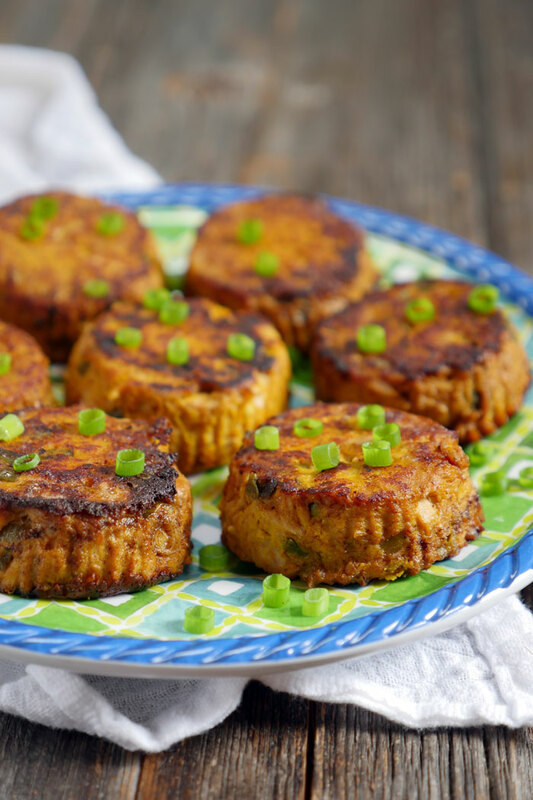 Truthfully… I think I prefer pumpkin in savory recipes. It holds flavor really well, which is great because I looove flavorful food. 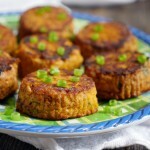 This recipe makes over a dozen tuna patties – I like making a large batch and freezing extras. I always shallow fry the patties first, then freeze them. That way, all I have to do is reheat them in a skillet! 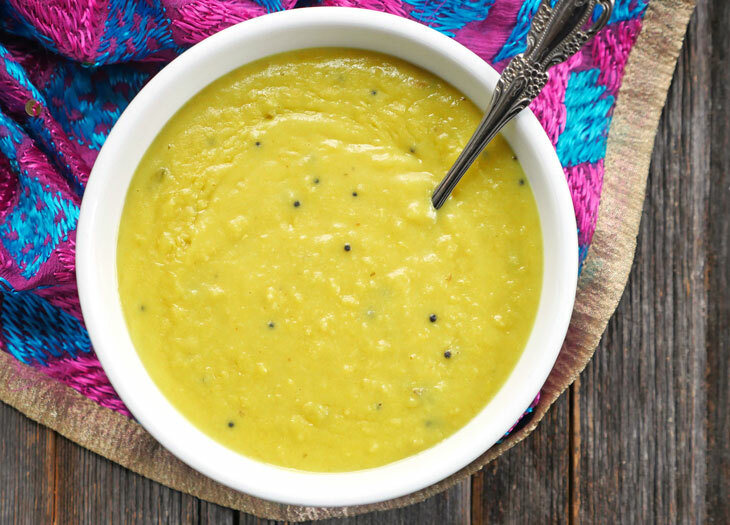 Want to try some of my other savory pumpkin recipes? Check out my pumpkin hummus, creamy chicken pumpkin casserole and Thai pumpkin chicken curry. Using a large disher, pour the mixture into a muffin pan with parchment muffin liners (you’ll want these!). Allow the patties to cool on a wire rack. Meanwhile, melt butter or ghee in a cast iron skillet. Fry the patties for a few minutes on each side, until a nice golden crust develops. If you decide to freeze these, I suggest shallow frying them first. Then freeze them on a sheet pan individually before putting them in a ziplock bag – this way, they don’t stick together. 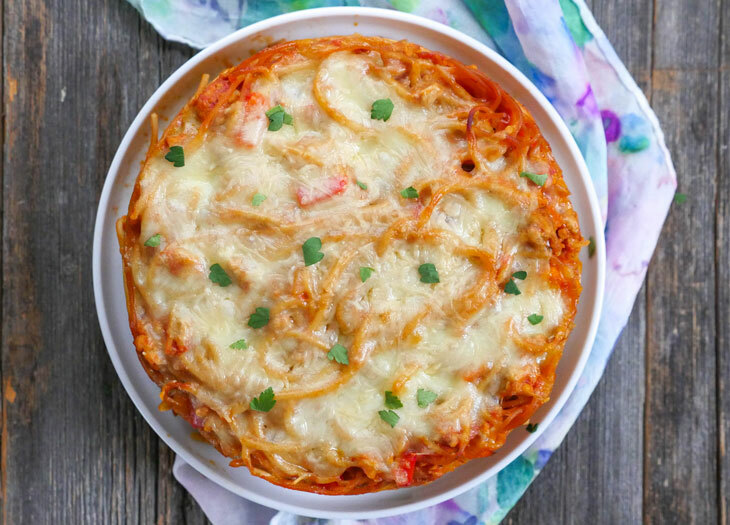 These made for a very delicious and light dinner! Perfectly complimented with a green salad. What amount of real mashed pumpkin would you suggest instead of canned pumpkins please? I don’t think we even sell canned pumpkin in Australia. Thank you in advance. I am looking forward to trying this recipe, it sounds delicious. I usually have some cooked pumpkin in the freezer. I puree it with a tiny little bit of cooking water so it’s pretty smooth before freezing. I used the same amount in this recipe. I think whatever variety of pumpkin that goes into canned pumpkin here in the States is kind of sweet. Whatever kind it is, it’s definitely not the larger pumpkins that are carved for jack-o-lanterns. Normally I’ll cook a hubbard, jarrahdale, or kabocha. Really, I just buy pumpkins in the fall that I think are lovely and cook from my decorations. Sometimes I’ll buy butternut or acorn squash because they seem to be easier to find year round. Didn’t have pumpkin. Made them with potatoes instead. Perfect lunch to go. Thank you again for a great recipe. Today was my baking day and I used some jarrahdale pumpkin that I cooked in the instant pot to make these! My short person doesn’t like peppers so I omitted it, but otherwise made them as written. I think the next time I make these I’ll leave them in the paper wrappers to freeze. While my crust doesn’t look as lovely as Ashley’s (not enough oil I am sure) I think leaving out the extra step would be easier and less smelly for my kitchen! This is one of my favorite recipes. I make a batch each week, freeze them, and then can eat them as a snack or with scrambled eggs for breakfast or with baked sweet potato fries for lunch…it’s gotten so that, if I don’t have any in my freezer I must make more. Thank you so much for this recipe! I absolutely love this recipe. 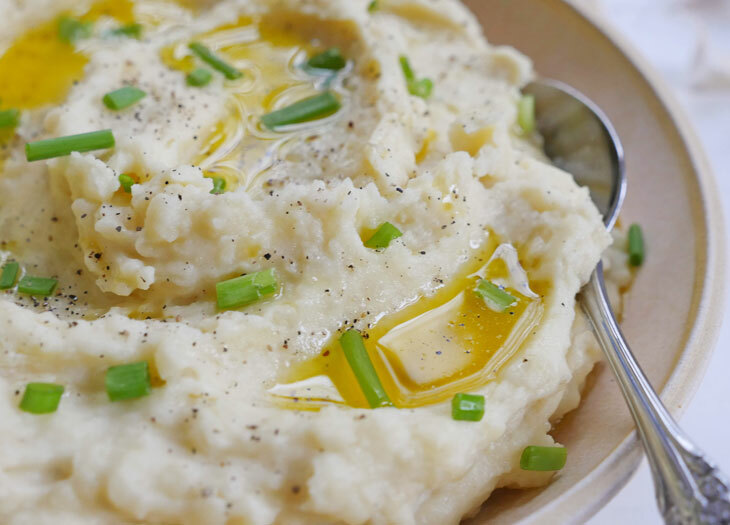 The ingredients don’t “look” like they go together, but it makes such a delicious snack or side dish. Even my picky eater friend loved them. It’s so hard to just eat a few. Thank you for sharing all your hard work!